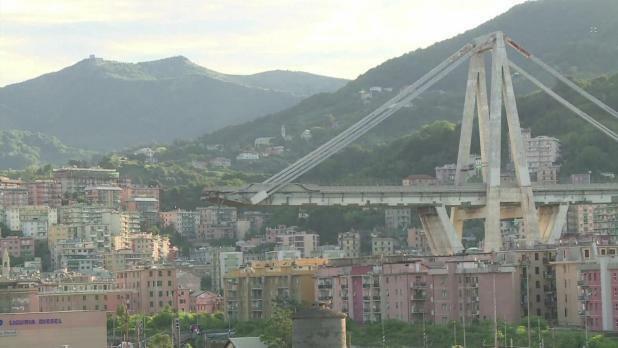 The collapse of a bridge in Genoa, which claimed 43 lives, has cost companies in the Italian city around 422 million euros in damages, the Genoa Chamber of Commerce said. The chamber's estimate was based on a survey of hundreds of companies affected after the bridge operated by a unit of Italy's Atlantia collapsed on Aug. 14. The survey was aimed at helping firms claim relief from state disaster-aid funds, but could also be the base for future lawsuits against whoever is found responsible for the collapse. Damages to properties, buildings, machinery and stocks were estimated at 63 million euros, while higher costs and lower profits reported by some companies due to the collapse amounted to a combined 359 million euros, the Chamber of Commerce said. The government has blamed Atlantia's unit Autostrade per l'Italia, which operated the bridge, for the disaster. The company and its top managers are under judicial investigation, along with transport ministry officials, for culpable homicide. Autostrade has denied any wrongdoing, saying regular, state-supervised inspections had indicated the ageing bridge was safe. Italian freight forwarders, who say their business has been hurt by the bridge collapse, told Reuters they were taking legal advice and considering whether to sue toll-road operator Atlantia if the group is found responsible.